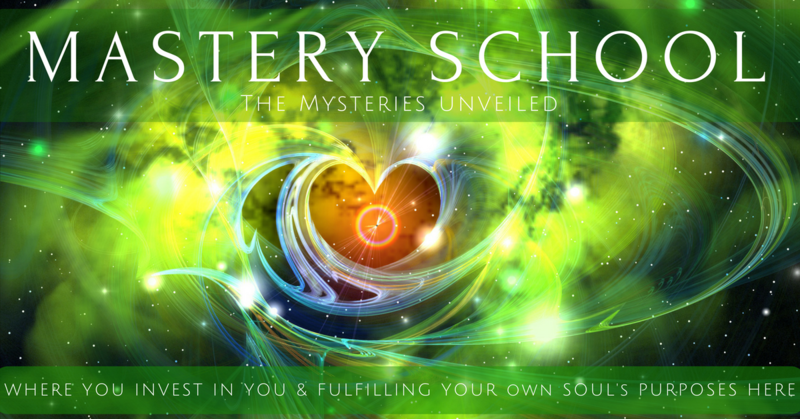 This Light Encoded Activation Series will bring you through a journey of various early stages of awakening, the transition from Unconscious (Old Earth) to Conscious, beginning accelerated Ascension Processes (where NEW Earth becomes visible to open up access/portals inside), remembering, understanding, new realizations and opening up start to Embody Higher States of Consciousness and the processes that occur as we all re-align/reconfigure/re-construct our "whole lives" in accordance with Soul Consciousness, which is very different than our old earth lives were. This in-depth process is to assist with expanding understanding to encompass how "vast" all of this is, how our entire lives "have been a part of all of this" and to assist with Higher Consciousness activations, anchoring and shifting through Conscious Intentional ACTion, through PRESENCE and inner-connectedness and TRANSITIONING with greater ease. It's an honor to have you join our NEW EARTH SOUL-STAR-LIGHT FAMILY through your own connected consciousness place/space. Your presence, open heart, open mind and readiness are beyond important, necessary and KEY. Originally this series was set up as weekly emails, to conclude when it felt "done". Lisa has currently provided 16 lengthy emails, still having a couple more to write, yet her schedule became so packed that the last week or two are still in the process and will be released when they are ready/complete. There are two ways to access/receive. One is by signing up for the actual emails series, to have each delivered directly to your email account. The other is to read the archives from here. If you read them in order, they are written in light encodements and a flow that was intentional. If you prefer to hop around, go for it, as none of this is linear and anything you choose to read/activate through will assist however is appropriate for you/all. This series travels through various topics relative to our Vibrational and Quantum Existences here. Re-working and shifting out of linearity is a massive process, that occurs on a cellular level, both within you and your external reality too. Feel free to share this with others too. The more each understands, the easier all of this is for each to embrace fully and come on-board with our NEW EARTH REALities here. Your Relationship with the entire physical reality changes/is shifted for you and by you Your human aspect will not understand (or like) this part. Your entire physical reality, and physical body, must be re-aligned on a Soul Level... every aspect of your life, everything you have and are.... all. Dimensions are not linear, they are vibrational frequency bandwidths. Your physical LightBody gives you multi-dimensional capabilities and all new physical realities too! Email Series Week #6: My 3rd Dimension: Living an Unconscious "Human Life"
Still to come. This will be the final issue to complete this series.